It's hard to force creativity—so we created a process. Here's how we named our new product, Outpost, and the method we used to choose the right name. Editor’s note: We’re launching a new product, and we want to take you along for the ride. So, we’re pulling back the curtain to give an inside look at what really goes on behind the scenes of building and launching something new. 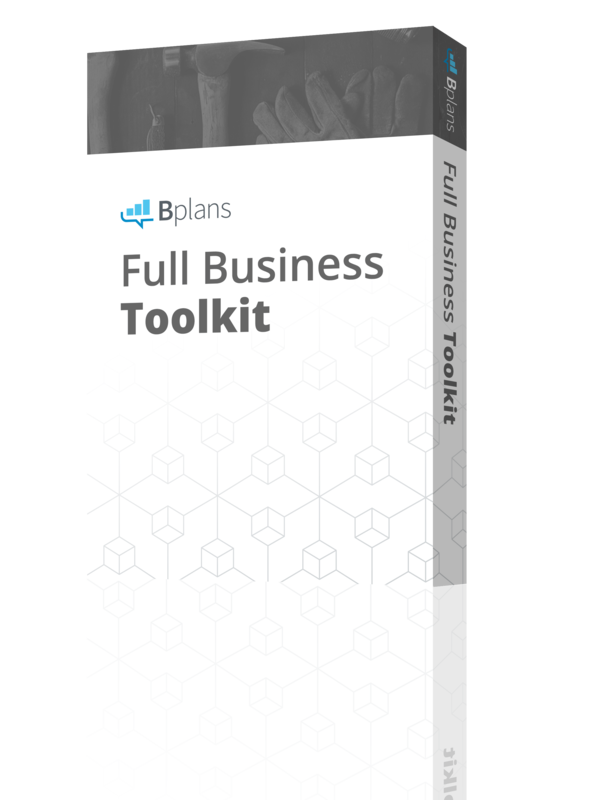 Read about how we started building and launching our new product here, and then check out how we chose our logo and built our sales forecast. It’s hard to force creativity. As we’ve been working on our new product that helps teams manage shared email inboxes, we’ve had struggles coming up with a name. We’d jotted down some name ideas as they came up, but didn’t feel like any individual name was the right fit. As much as everyone on the team hoped that the right name would just appear to one of us one morning in the shower, it just wasn’t happening. So, we decided to apply some structure to the creative process to see if that would give us a name. We did, and it worked. Here’s the structure that we used to come up with our new product name. I’m really the analytic type. I’m much more at home in Google Analytics where data drives decisions than in a brainstorming session, talking about brand attributes and personality. But, these exercises are really important to set the tone for your naming exercise. Creating a solid, agreed-upon brand definition gets everyone on the same page and makes sure everyone is speaking the same language. Problem: It’s hard to manage info@ and sales@ emails with a single email account and customers sometimes get the wrong response or no response at all. 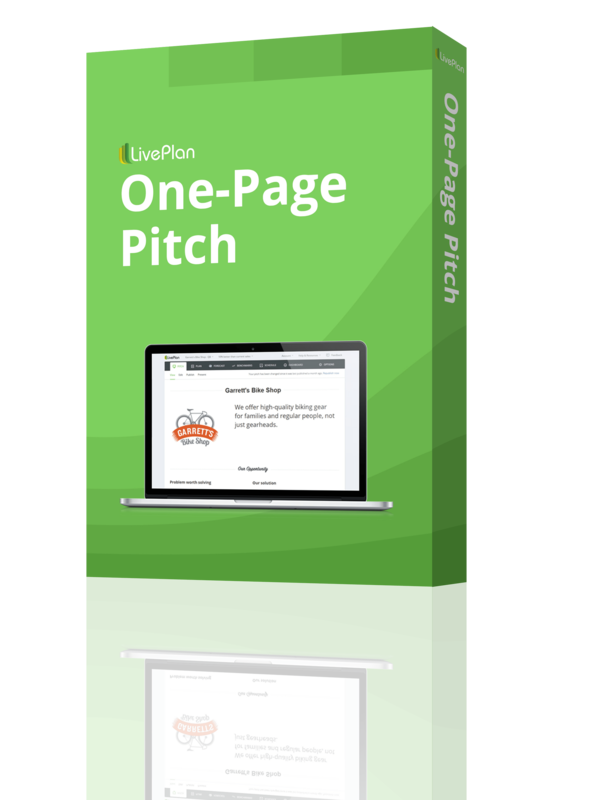 Solution: A collaborative email management tool for teams. Value: Everyone can work in the same inbox without stepping on each other’s toes and make sure customers get better support with fewer headaches. This part should be pretty easy and helps get everyone on your team orientated in the same direction. Hopefully, your product (or company) is going to be around for a long time. The thing is, what products do can change over time. This is especially true if you’re naming a company. Perhaps you hope to introduce new products and services over time. So, now’s the time to think about where you’d like to be in 10 or even twenty years. What’s your long-term vision? Don’t stress too much about this step—you don’t need to create a master plan that maps out every step you might take in the next decade. Instead, just imagine what the future might be like. If you could wave a magic wand, what might your product do for your customers in the future? What kinds of things will your company be selling? For us, our product is going to start out with a focus on managing team email inboxes. But, we might expand and consider helping companies manage other kinds of messaging such as social media accounts. Maybe we’ll even help manage text and phone messages. It quickly became pretty clear that we shouldn’t include the word “email” in our product name—we wanted something more generic that didn’t tie us to just working with email in the future. You probably have an idea of who your ideal customer is. Who’s most likely to buy your product? You might have multiple types of customers—that’s OK. Just take a few minutes and list them out. The next part is a little more difficult. You’ll need to rank your customer types. Who are you trying to appeal to? For us, our ideal customer runs a small service business. They may be tech savvy, but aren’t the Silicon Valley startup type—more the “Main Street small business” type. Your brand will need to resonate with your ideal customer, so having a good understanding of who the brand is for is a critical step. 4. What’s your brand personality? Now, think about your product as a person. Who are they? What personality traits do they have? I admit, this part of the naming process feels a bit silly, but I guarantee that it will help you later on. Go ahead and list out the attributes that your brand has and try and make sure that they don’t conflict with each other. For example, is your brand playful or serious? Is it a teacher or a close friend? Defining your brand personality will help you think about how your brand might “talk” to customers. When customers read or hear your brand name, will the name evoke the right feelings? For example, Accenture has a serious, business-focused personality. Meanwhile, Mailchimp sounds fun and approachable. 5. What does your brand symbolize? Finally, think about what your brand symbolizes. What does your brand stand for? Another way to think about this is to think about what your brand should mean to people. What feelings do you want to evoke in your customers? What your brand symbolizes is similar to brand personality. If your customers are asked to list words that are similes (remember those from grade school?) for your company, what would they list out? What your brand symbolizes is what it should mean for your customers. It’s another way of describing the value that your brand provides to customers. Now that you’ve defined your brand, it’s finally time to start thinking about possible names for your product or company. You’ll probably want to include a few people in this exercise so that you get a lot of name ideas, but you could continue on your own as well. One last step you’ll take before actually getting to the part where you generate long lists of possible names is to come up with a list of themes. Themes will help facilitate brainstorming by giving people a jumping off point. They’re essentially category ideas. To generate your list of themes, you can brainstorm as a team. However, I don’t suggest that you just have people shout out ideas. This chaotic approach isn’t always the most effective. Instead, have everyone who’s participating in the process take 10 minutes to generate a list of potential themes, based on your brand definitions from earlier in the process. When everyone has their list of themes complete, compile them all into one list and share them with the team. You could compile the list on a whiteboard if you’re brainstorming in person or just share the list in an email. Name ideas don’t have to fit within these themes, but it’s a helpful list to have to get you and your team thinking about names. Finally, we get to the part you’ve been waiting for! This is where you and your team brainstorm a list of names. This should be independent work. Just like with the process of generating themes, brainstorm individually instead of in an “out loud” format. You could do this in an afternoon with everyone in a conference room or over several days. They key is that you get everyone on your team to participate. Start by reviewing all of the work you’ve done so far. Review your brand and your themes. Now, list as many ideas as you can. If you’re doing this in an afternoon, a 1-hour time limit should be enough. Using computers and a thesaurus is fine and even encouraged to help the process along. When you’re done creating your list, gather all the ideas and share them with the group. If you’re working together, now’s a great time to list all the ideas on a whiteboard. Now comes the hard part—choosing a name from the list. Hopefully, there’s a winner somewhere in the lists that you’ve compiled. A simple way to rank your potential names is to give everyone on the team sticker dots. Each team member gets five stickers to place next to their favorite names. They can use multiple votes for one name or spread out all five votes across five different names. The CEO or product owner should get some extra votes here as they are the final arbiter in this process. Based on the voting, you should have a list of five to 10 “finalists.” Now it’s time to check each name to see if it’s a fit for your new product or company. Some names look great on paper, but just don’t work when you say them out loud. Other names might have trademark issues. In this final step, you’ll vet your finalists to help narrow down the list. The phone test: Ideally, get on the phone with someone who hasn’t been part of your naming process and run through some of your final candidates. Does the person on the other end of the phone understand the name? Can they spell it correctly? Imagine that someone from your company is calling someone else. The last thing they’re going to want to hear is, “You’re from where? How do you spell that? Can you say that name again?” The phone test ensures that your name is easy to understand, and even more importantly, easy to spell. The real life (or co-worker) test: Pretend that you’re having a conversation with a friend or co-worker. Try saying things like, “I was using [your new name here] the other day and I found something really cool.” or “We’re signing a contract with [name]. What do you think?” Hopefully, your potential names sound good in real conversation. If they sound awkward or just don’t work, consider getting rid of those ideas. What does Google say? : Ideally, when people search for your product or company, you want to come up near the top of search results. To see if this will be possible with your new name, you’ll need to run a few test searches.You’ll be looking for two things in those search results. First, you’ll want to make sure that another company isn’t already using the name you’d like to use. Second, you want to see how competitive the search results are. If you’ve got lots of legitimate results from well-known sites showing up on the first page of the search results, it might be difficult to break into that first page of results. This can be especially true for common words and phrases and is a potential reason to choose a name that’s less common. Can you get a good domain? Like your search results check, you should also check to see if you can get a good domain name. I like Name Mesh for this type of search because it suggests plenty of alternatives and makes it easy to explore lots of different TLDs (that’s the “.com” part of the domain name). Are good social handles available? This may or may not be critical for your business, but it’s usually a good idea to see if you can get social media accounts that will work for your brand. Speaking from experience, this was a struggle for us, but we managed to make it work. International considerations: You may not be planning on your brand going international now, but if you ever think that your brand could be sold in countries other than your own, you need to take into consideration how your brand might work in other languages. You don’t want your brand to be a vulgar phrase in Bulgarian! If you’re building your brand in the U.S., there are considerations for other English-speaking countries you’ll need to think about. For example, many words in U.S. English are spelled slightly differently in the U.K. Color and colour is a simple example. Trademarks: Finally, you’ll want to do a quick search to make sure your brand can be trademarked. Of course, you’ll have to get real legal help to get your trademark, but a quick search using the U.S. Trademark Office’s tool is a good place to start. Don’t stress if you see other companies and products using the brand you want to use. As long as they’re using it for something that’s different than what you’re doing, there’s a good chance that you can get a trademark for your specific use. Again, I’m not a lawyer, so you should get real legal advice before proceeding here. The final step of the naming process is easy—just sleep on it. How do you feel about your new brand name after a few days? Have you tried using your new name in conversation? How’d it go? At the end of the day, your name needs to feel good—like a new pair of jeans that just feels right. The fact is, you’ll know it when you see it. First, it references standard terms for sending messages such as the “out-box” and “post office.” Also, our product is for small businesses and entrepreneurs, who are inherently risk takers—like explorers are. An outpost is something that an explorer might set up, so it feels like there’s a link to entrepreneurship there. Finally, our company is in a small-ish town in the Pacific Northwest that can feel a bit like an outpost. For us, the Outpost name works. 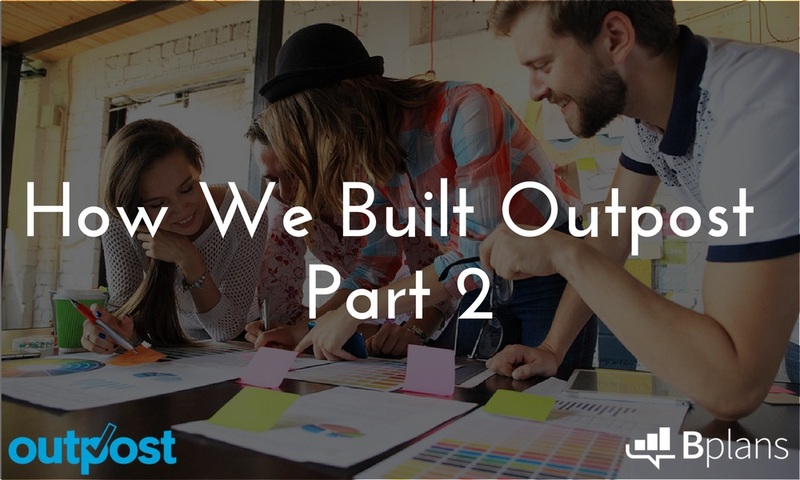 Want to learn more about Outpost and also get tips for growing and running a successful business? Subscribe to our newsletter here.